I've been using Sony Vegas Studio HD Platinum 11.0 for over a year now. I LOVE IT. But I have had one problem with it. The output video has not been quite as good as I had hoped. And when I upload to YouTube, it looks like CRAP. YouTube's guidelines say to upload in the highest quality for the best effect. 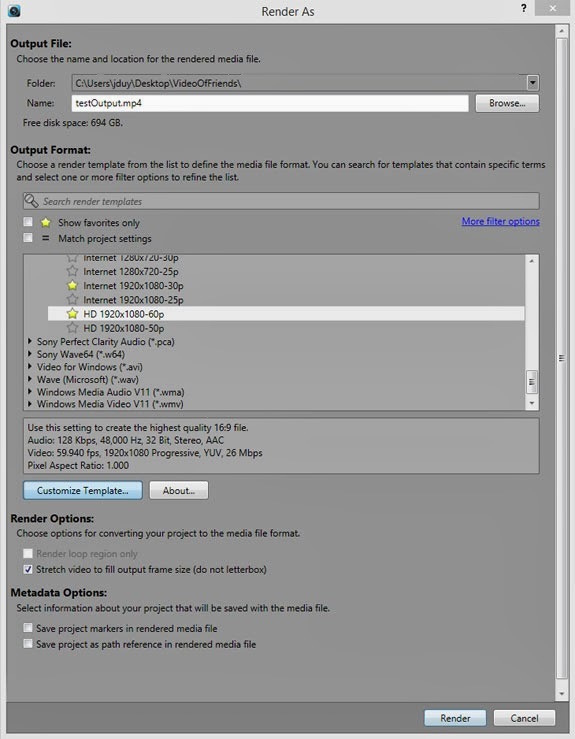 Then it gives specifics about how to export to a Quicktime .MOV file. 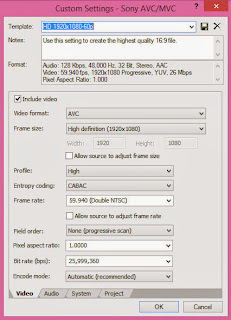 None of the specifications match Sony Vegas. Save your work. SAVE NOW! Find: "> Sony AVC/MVC (*.mp4; *.m2ts; *.avc)"
Pop open the selection submenu. 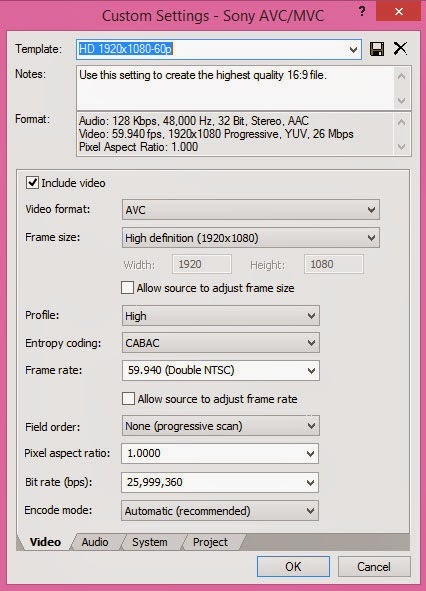 Change "Video rendering quality:" to [Best]. Notice the frame rate is "59.940 (Double NTSC)." Frame size should be [High definition (1920x1080)]. Field order should be [None (progressive scan)]. Bit rate (bps) should be the highest [25,999,360]. Make sure your folder and filename are correct at the top. The quality will be very good, but the filesize will be larger than other choices, however not nearly as big as Windows .AVI format. 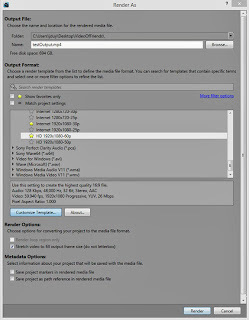 If you must have a smaller file size, reduce the Bit rate setting. YouTube will still slightly degrade the quality of your new video after you upload it -- nature of the beast, free is free. Hopefully, you have a high-speed connection because uploads can take a while with higher-quality files because they are larger. Google's latest (Nov. 2013) suggestions for encoding are here.